I’ve often been for a walk in the park and witnessed adults and children feeding the birds. The loaves of bread come out, slices are broken into small pieces and they’re scattered on the floor, so the birds can have a good meal. I recall doing the same myself and I felt good for it. It’s such a lovely idea. You could class it as a good deed. A form of donation. It’s a way to teach or remind us about being kind and generous. Opportunities arise for sharing lessons about being gentle, compassionate, tidy, respectful. It sounds so positive, but is it? If there are so many pros, what could be wrong with it? 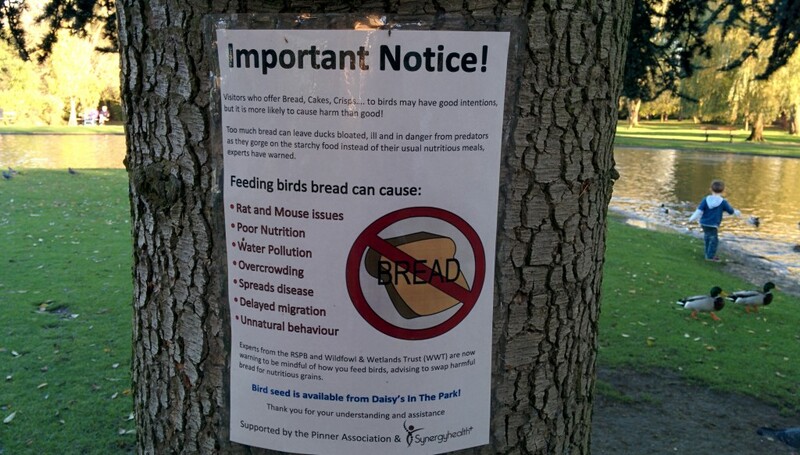 Many people aren’t aware that bread is really bad for all types of birds. I’m not sure why more parks don’t put signs up like the one below. It almost appears as if they don’t want to offend visitors and would rather that the birds suffer! The bread swells up in their tummy and takes up lots of room. 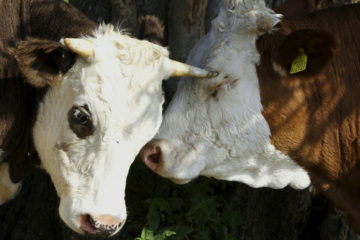 This means that, even though they’re hungry, they can’t eat any more. It’s also bad for them nutritionally. So should I just stop feeding the birds? No definitely don’t stop. However, is there any chance that you can buy some grain, if you don’t have any at home, and feed that to them? It’s less bulky to carry, it’s better for them and will perhaps get others curious and set a good example.